Brought to you by the author of Freemasons For Dummies, The Templar Code is more than an intriguing cipher or a mysterious symbol – it is the Code by which the Knights Templar lived and died, the Code that bound them together in secrecy, and the Code that inspired them to nearly superhuman feats of courage and endurance. 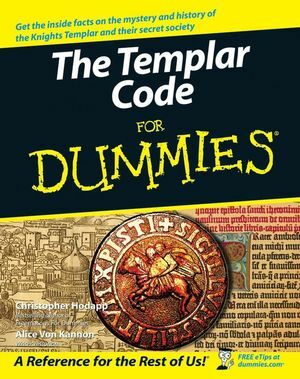 The Templar Code for Dummies reveals the meaning behind the cryptic codes and secret rituals of the medieval brotherhood of warrior monks known as the Knights Templar. This intriguing guide will cover such topics as who the Knights Templar were, how they rose so high and fell so far, and most importantly why there is so much interest in them today. 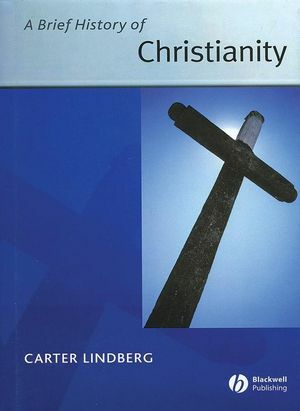 The Templar Code For Dummies will explore myths and theories of Christian history that appear in the Da Vinci Code such as the quest for the Holy Grail, the Catholic Church's relationship with women that are hotly debated now with special emphasis on the Templar connection. It also explores the surprising part the Templars have played in some of the most important historic events of these past seven centuries, including the French Revolution, the birth of groups such as the Freemasons, and even the American Civil War. Christopher Hodapp is a Freemason who has traveled extensively reporting on the Masonic practices in the United States, United Kingdom, France, and elsewhere. Alice Von Kannon is a historian and writer, who has worked for many years in the advertising and commercial production business. Part I: The Knights Templar and the Crusades. Chapter 1. Defining the Templar Code. Chapter 2. A Crash Course in Crusading. Chapter 3. The Rise of the Knights Templar. Part II: A Different Kind of Knighthood. Chapter 4. Living in a Templar World. Chapter 5. The Poor Knights Crash and Burn: The Fall of the Templars. Chapter 6. Cold Case Files: The Evidence against the Templars. Part III: After the Fall of the Templars. Chapter 7. Templars Survive in Legend and in Fact. Chapter 8. "Born in Blood": Freemasonry and the templars. Part IV: Templars and the Grail. Chapter 10. The Templars and the Quest for the Holy Grail. Chapter 11. The 21st Century Dawns with a New Grail Myth. Part V: Squaring Off: The Church versus the Gospel According to Dan Brown. Chapter 12. Templars and The Da Vinci Code. Chapter 13. The Suppression of the "Feminine Divine": Truth or Feminist Fiction? Chapter 14. Getting Our Acts Together: Constantine and the Council of Nicaea. Chapter 15. Ten Candidates for the Site of the Holy Grail. Chapter 16. Ten Absolutely Must-See Templar Sites. Chapter 17. Ten Places That May Be Hiding the Templar Treasure.